Wow, during the O.J. Simpson parole hearing he actually had the audacity to say, “I am not a guy that lived a criminal life.” REALLY? Then he said, “I’ve never been accused of pulling a weapon.” I think I am going to have to call BS on that one. Nicole Brown Simpson and Ron Goldman might disagree. Unfortunately both were not available(warning graphic) to be asked for their comment. Wasn’t OJ Simpson involved in The Trial of the Century? Never been accused of pulling a weapon, eh? What are the chances that OJ does not do something to break his parole? Listen to Greg Gutfeld’s commentary below, I could not agree more. This is the hauntingly true story of a devoted mother, a disturbed couple, and how these horrific events came to pass. 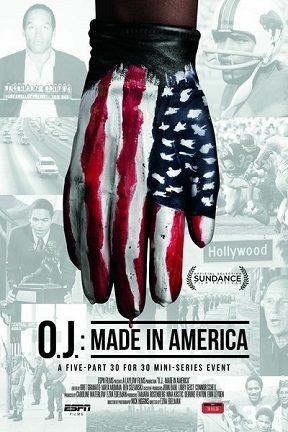 This new documentary, OJ: Made in America is pretty good! WILL O.J. 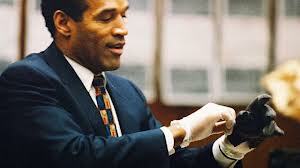 SIMPSON EVER CONFESS TO THE MURDERS OF NICOLE BROWN SIMPSON AND RON GOLDMAN? Ron Shipp, former Los Angeles police officer and part-time actor who has been a friend of O.J. Simpson for years thinks he might be ready to confess to killing his ex-wife, Nicole Brown Simpson, and Ron Goldman. Simpson was found not guilty in the 1994 double murder trial of the century that may have been the greatest case of jury nullification ever. Simpson could not stay out of trouble and is now serving a 9 to 33 year sentence in Nevada on an armed-robbery conviction. However in an interview, Ron Shipp says he would probably not come clean until he is out of prison. Simpson is eligible for parole when he turns 70 in 2017. Sorry, I am not buying the fact that Simpson will ever confess to the crimes he committed even though double jeopardy prevents him from ever being tried again. Like in the case of Joran Van der Sloot and the death of Natalee Holloway in Aruba, sociopaths and narcissists enjoy the attention and causing pain to others. Simpson, like Van der Sloot, will never provide the truth to the Goldman’s, Holloway’s or Twitty’s. After more than 20 years, countless stories, a popular TV miniseries, countless bizarro theories and, now, a lengthy documentary, the truth about who murdered Nicole Brown Simpson and Ronald Goldman remains elusive. Although O.J. Simpson, the former NFL player, was found not guilty by a jury in the trial of the century, a civil jury ordered him to pay $33.5 million in punitive and compensatory damages in finding him liable for the 1994 double murders. Now, a former Los Angeles police officer and part-time actor who has been a friend of The Juice for years thinks he might be ready to confess to killing his ex-wife and Goldman.